I am so excited to tell you today that I am now a brand ambassador for Karina Dresses. This means you will be seeing me in many more of these gorgeous dresses in the upcoming months. Today I am wearing the Trudy style and this my favourite Karina Dress I have tried up to this point. The neckline is gorgeous and the print is so charming. 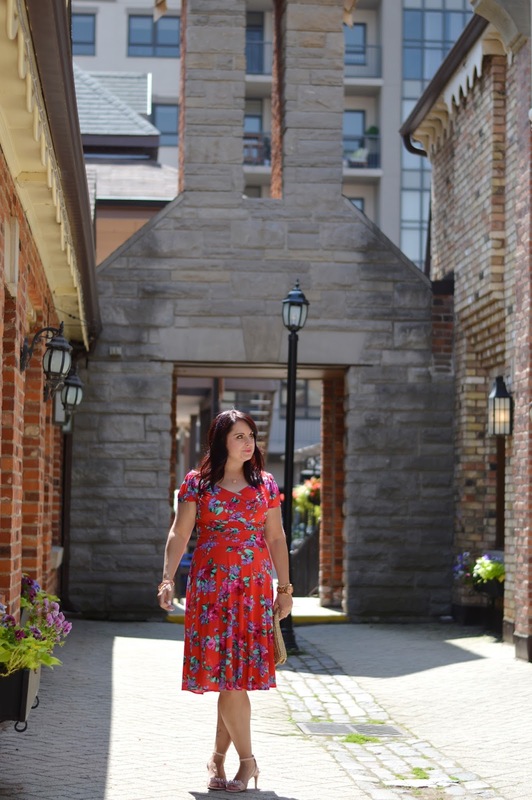 We shot this in a hidden gem Village Square area in Burlington, Ontario which reminds me of a European square. I am sure this will soon be my favourite area to shoot in.